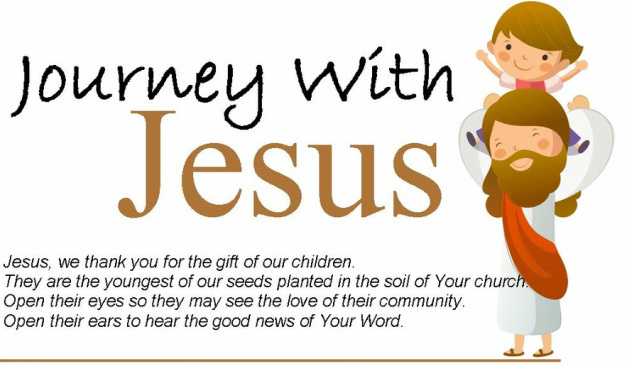 What is Journey With Jesus (Children's Liturgy of t﻿he Word)? After the opening prayers, the priest invites the children forward to send them forth for their own special "Liturgy of the Word" in an designated room in our hall. They pray the psalms, hear the Gospel, participate in an interactive reflection on the Gospel, reciting the Creed and sharing in the Prayers of the Faithful. They come for the offertory procession and rejoin their parents. 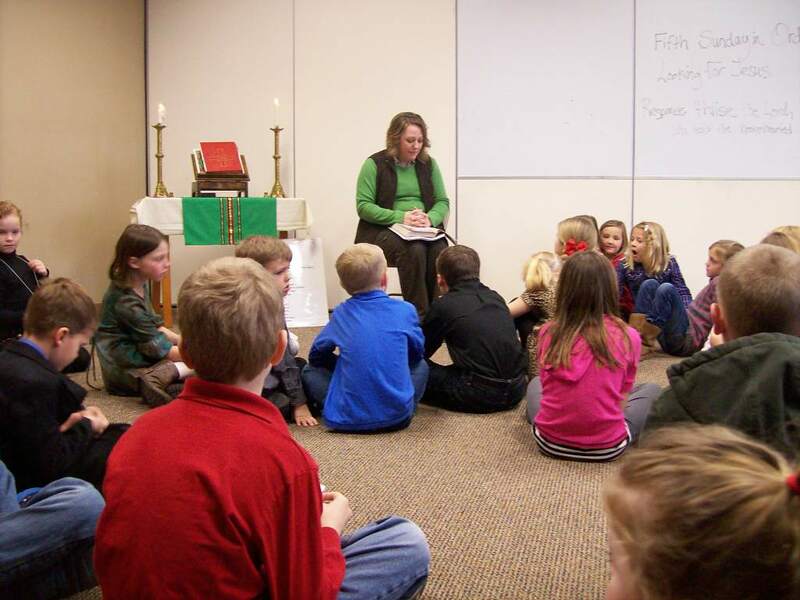 What are the benefits of having a Children's Liturgy? While the adults hear the word of God proclaimed and the homily helps them reflect upon its meaning for their lives, the children also listen to God's word and ponder its meaning, but in a way designed especially for them, allowing them to respond in a way relevant to their young lives. (1) CLICK on the date you are preparing for and prayerfully read through the Psalm & Gospel. (2) CLICK on the date you are preparing for, then on "Grades 1-3" and read "Making the Connection." Record reflection and activity ideas in your planning booklet. Click HERE for the step-by step outline of leading a Journey with Jesus Session.